Village Veterinary Clinic would like to inform you about a recent outbreak of canine influenza virus (CIV) in the Houston area. We have been monitoring this issue closely and had not recommended vaccination for dogs since no prior risk of exposure had been documented in our area. 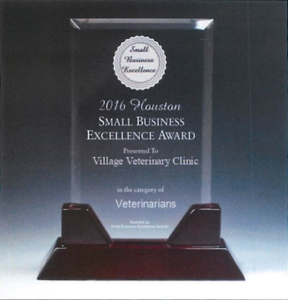 Village Veterinary Clinic has been selected for the 2016 Houston Small Business Excellence Award in the Veterinarians classification by the Houston Small Business Excellence Award Program. 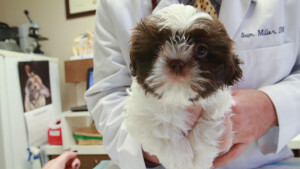 The threat of parasites and worms are a reality for your dog and cat. Pets are more than just animals that we keep in our homes. 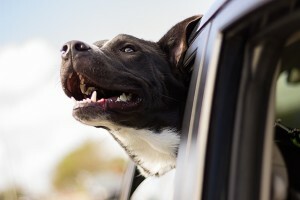 They're companions, family members, and friends; which is why many people see no reason to leave their pets home alone when they have to go out-of-town. 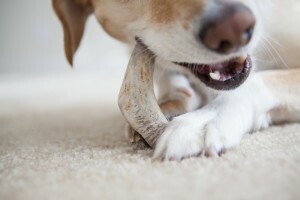 One of the best things that a pet owner can do to prevent oral diseases in their pet dogs and cats is to provide regular in-home care between vet visits.